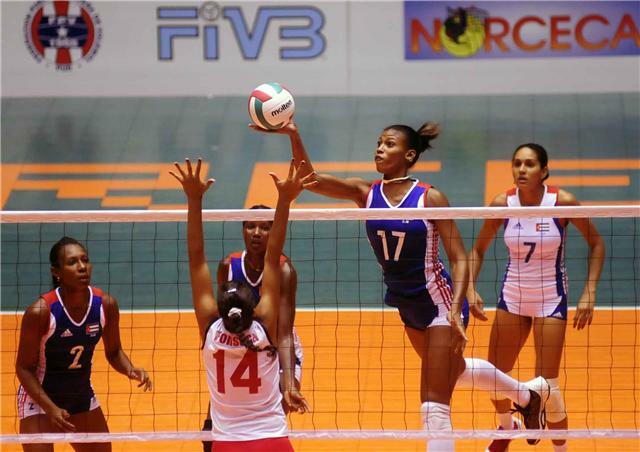 BAYAMON, Puerto Rico, September 27, 2009 � Dominican Republic saved four match-points in the fourth set and went on to defeat hosts Puerto Rico 19-25, 25-23, 16-25, 32-30, 15-8 in the final match of the NORCECA Women�s Continental Championship played in front of more than 7,000 enthusiastic spectators. 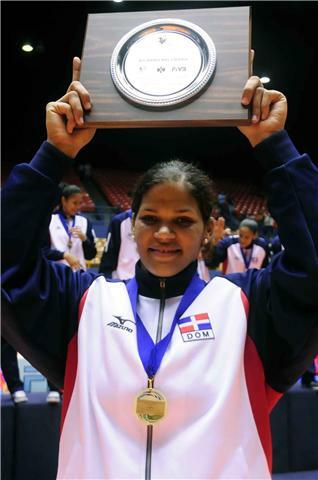 BAYAMON, Puerto Rico, 27 de septiembre, 2009 � La dominicana Prisilla Rivera fue electa como Jugadora M�s Valiosa del Campeonato Continental NORCECA de Mujeres ganado por su equipo en un emocionante encuentro final contra Puerto Rico. Brenda Castillo, tambi�n de Rep�blica Dominicana, fue la jugadora m�s premiada de la ceremonia de clausura llev�ndose los trofeos como mejor defensora, mejor receptora y mejor libero. BAYAMON, Puerto Rico, September 27, 2009 � For second time in the NORCECA Women�s Continental Championship, Cuba erased a 0-2 deficit to defeat United States and take home the bronze medal. The match finished 17-25, 16-25, 28-26, 25-16, 15-11. BAYAMON, Puerto Rico, September 27, 2009 � Canada scored a 25-22, 25-21, 25-19 victory over Mexico and finished in the fifth position of the NORCECA Women�s Continental Championship. Tiffany Dodds (13), Brittney Page (11) and Marisa Field (10) all scored in double figures for the winning side. Mexican Cecilia Rios topped all the players with 17 points and Grecia Rivera added 12. 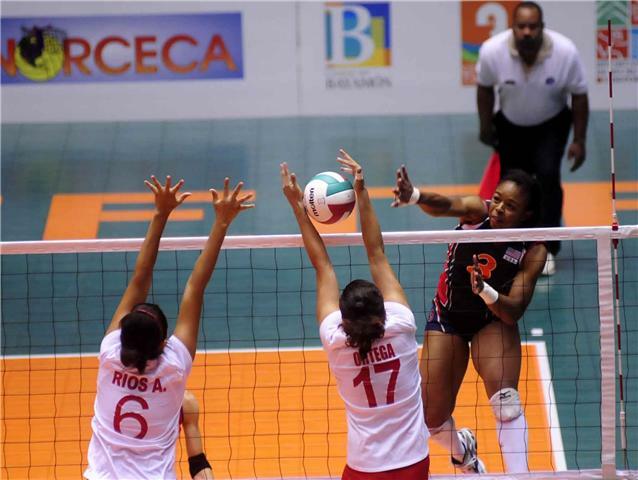 BAYAMON, Puerto Rico, September 27, 2009 � Costa Rica defeated Trinidad & Tobago in the match for the seventh position of the NORCECA Women�s Continental Championship. The score was 25-18, 25-22, 25-23. 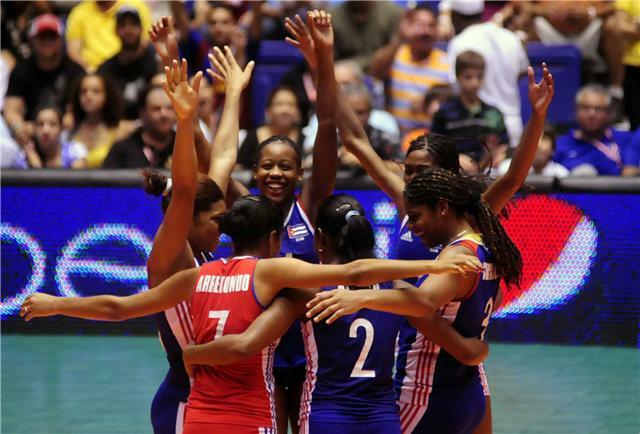 AYAMON, Puerto Rico, September 26, 2009 � Hosts Puerto Rico recorded an emotional five-set victory against Cuba 21-25, 25-23, 25-17, 20-25, 21-19 to reach the finals of the NORCECA Women�s Continental Championship against Dominican Republic. 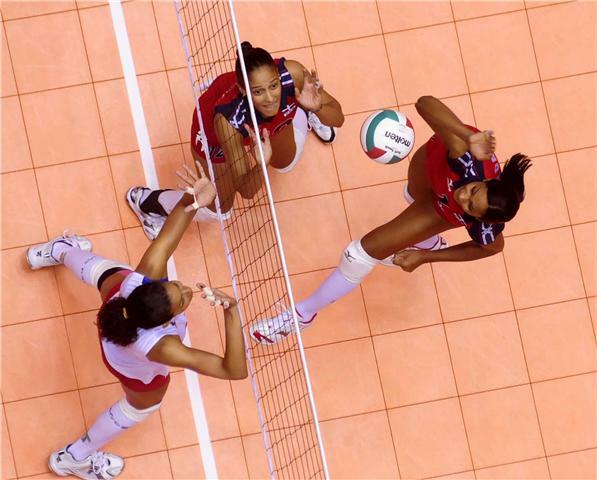 BAYAMON, Puerto Rico, September 26, 2009 � Dominican Republic prevailed in a dramatic five-set match against United States advancing to the gold medal match of the NORCECA Women�s Continental Championship. The contest lasted 2 hours and five minutes and finished 21-25, 26-24, 10-25, 25-20, 21-19. 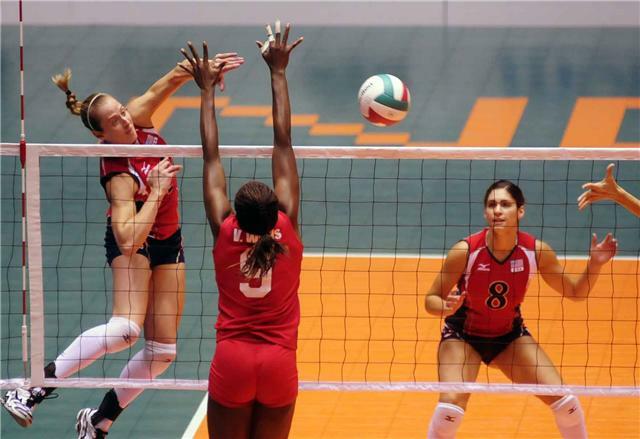 BAYAMON, Puerto Rico, September 26, 2009 � Canada defeated Costa Rica 25-17, 25-16, 25-22 and will meet Mexico on Sunday in a contest for the fifth position at the NORCECA Women�s Continental Championship. The losers will play Trinidad & Tobago for the seventh place. BAYAMON, Puerto Rico, September 26, 2009 � Mexico claimed a 25-20, 25-16, 25-16 victory over Trinidad & Tobago on Saturday advancing to a match for the fifth position at the NORCECA Women�s Continental Championship. 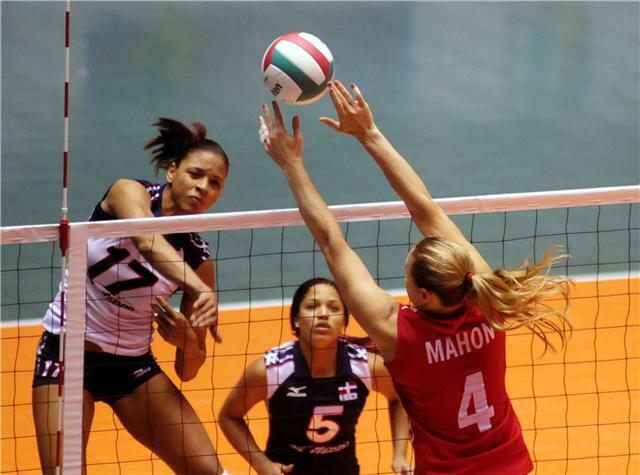 BAYAMON, Puerto Rico, September 25, 2009 � Puerto Rico downed Mexico in straight sets 25-11, 25-15, 25-15 advancing to the semi final round of the NORCECA Women�s Continental Championship. The home team now will play against defending champions Cuba on Saturday. Puerto Rico committed only 14 errors and outscored Mexico 9-2 in blocks and 7-1 in the aces category. 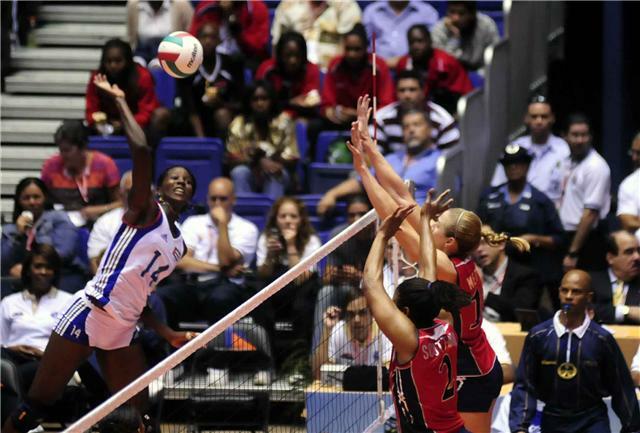 BAYAMON, Puerto Rico, September 25, 2009 � United States bounced back from losing the first set and defeated resilient Canada 17-25, 25-10, 25-23, 25-21 advancing to a semi final match against Dominican Republic at the NORCECA Women�s Continental Championship. The match lasted 1 hour and 41 minutes. 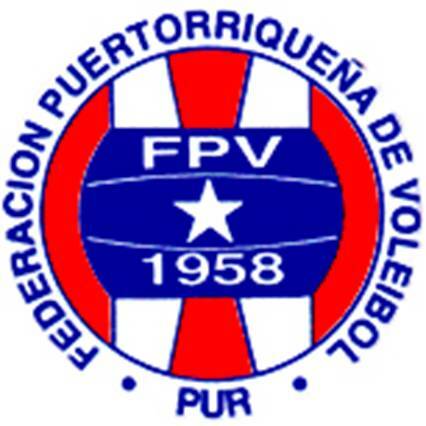 BAYAMON, Puerto Rico, September 24, 2009 - Dominican Republic claimed a 25-21, 28-30, 25-16, 25-22 win over Puerto Rico to win Pool A of the NORCECA Women�s Continental Championship. 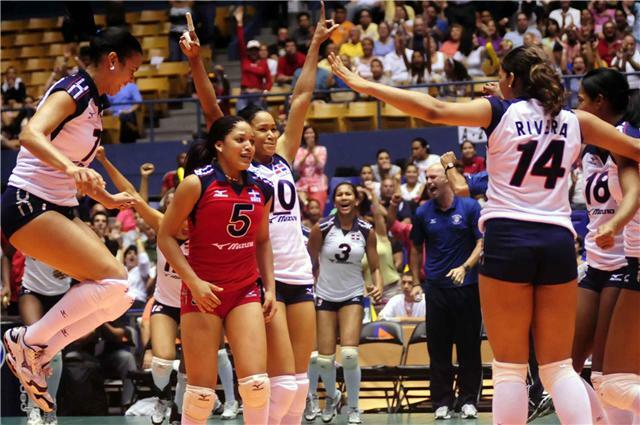 BAYAMON, Puerto Rico, September 24, 2009 � USA crushed Costa Rica 25-7, 25-10, 25-12 to finish in second place of Pool B in the NORCECA Women�s Continental Championship. 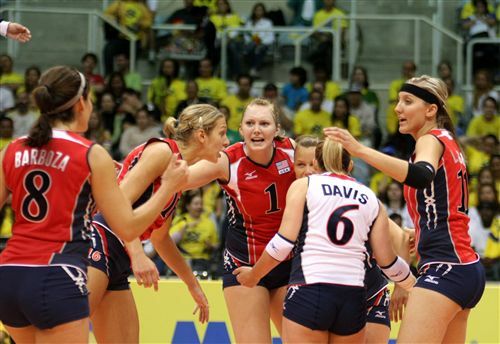 They now will meet Canada, third in Pool A, in the Friday�s quarterfinals. 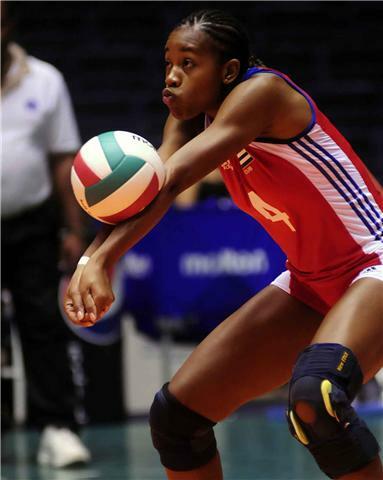 BAYAMON, Puerto Rico, September 24, 2009 � Defending champions Cuba pushed aside Mexico 25-15, 25-13, 25-14 advancing directly to the semi finals of the NORCECA Women�s Continental Championship with a 3-0 record in Pool B. The losers dropped to 1-2. 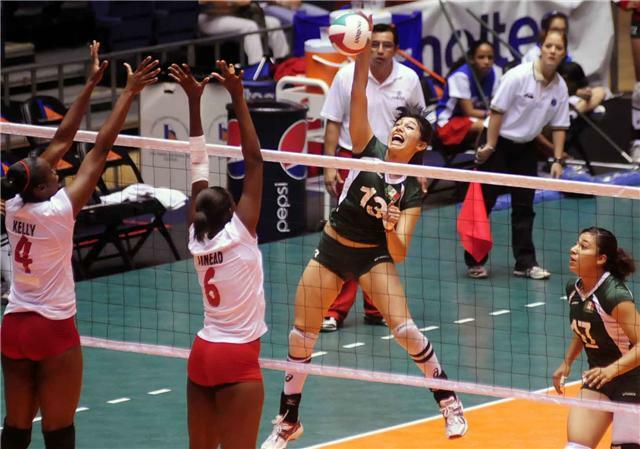 The taller Cubans took advantage of their size and overmatched the Mexicans in blocks 15-1 with Yanelis Santos and Ana Cleger recording four apiece. 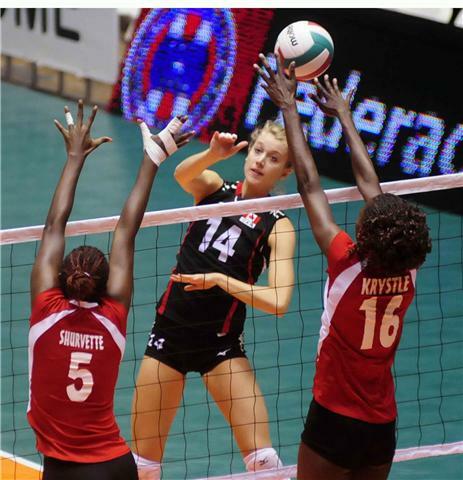 BAYAMON, Puerto Rico, September 24, 2009 � Canada defeated Trinidad & Tobago in straight sets 25-20, 25-16, 25-19 to secure a berth in the quarterfinals of the NORCECA Women�s Continental Championship. Ashley Voth topped the winners with 12 points and Krystle Esdelle had a match-high 20 points for the losers. 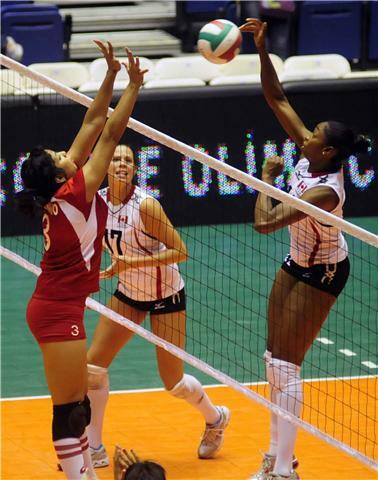 BAYAMON, Puerto Rico, September 23, 2009 � Puerto Rico defeated Canada in straight sets 25-22, 25-23, 25-21 and remained tied with Dominican Republic atop of Pool A in the NORCECA Women�s Continental Championship. Both teams have 2-0 record while Canada dropped to 0-2. 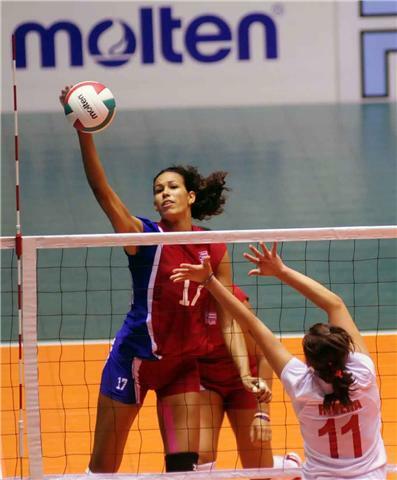 BAYAMON, Puerto Rico, September 23, 2009 � Wilma Salas scored six of her 14 points in the tie-breaker inspiring Cuba to complete a sensational comeback to defeat United States and remain unbeaten in Pool B of the NORCECA Women�s Continental Championship with 2-0 record. The score was 19-25, 16-25, 25-16, 28-26, 15-10. 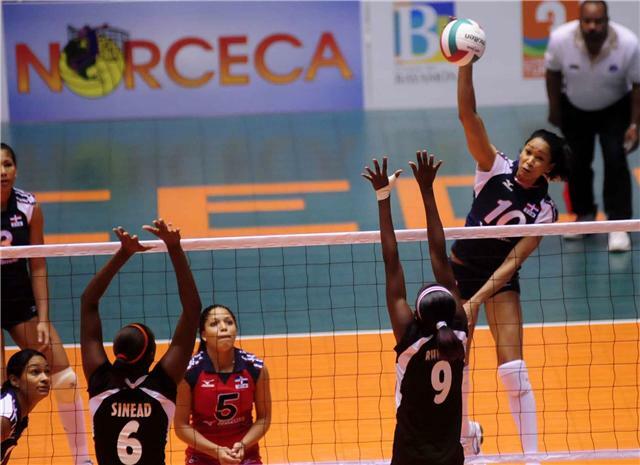 BAYAMON, Puerto Rico, September 23, 2009 � Dominican Republic cruised to an easy 25-12, 25-10, 25-7 victory over Trinidad & Tobago improving to a 2-0 record in Pool A of the NORCECA Women�s Continental Championship. The Dominicans recorded 9 aces during the match that lasted only 53 minutes and outscored the Trinidadians 7-5 in blocks. BAYAMON, Puerto Rico, September 23, 2009 � Mexico defeated Costa Rica 3-1 (28-26, 23-25, 25-19, 25-19) to even its record at 1-1 in Pool B of the NORCECA Women�s Continental Championship. The losers dropped to 0-2 mark. Mexican Cecilia Rios led her side with 21 points and Karla Sainz added 14. Grecia Duran chipped in 9 points. Costa Rican Verania Willis had a match-high 26 points and Karen Cope and Angela Willis recorded 15 and 13 respectively. 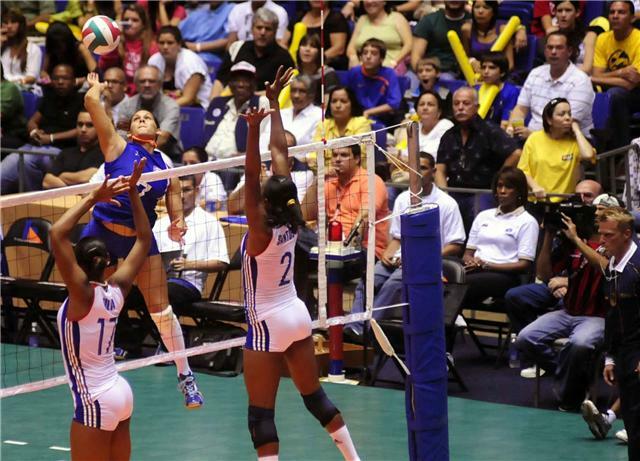 BAYAMON, Puerto Rico, September 22, 2009 � Hosts Puerto Rico capped the opening day of the NORCECA Women�s Continental Championship with a 25-18, 25-15, 25-17 win over Trinidad & Tobago before around 2,500 fans at Ruben Rodriguez Coliseum of Bayamon. 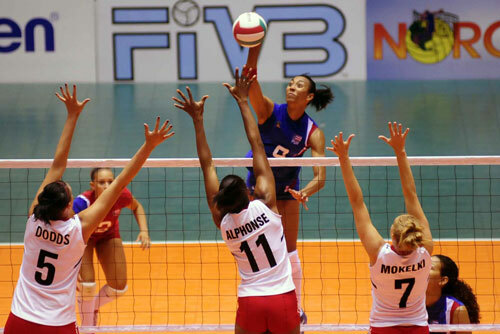 BAYAMON, Puerto Rico, September 22, 2009 � Dominican Republic defeated Canada in consecutive frames by score of 25-20, 25-22, 25-20 in the first match of Pool A of the NORCECA Women�s Continental Championship at Ruben Rodriguez Coliseum. 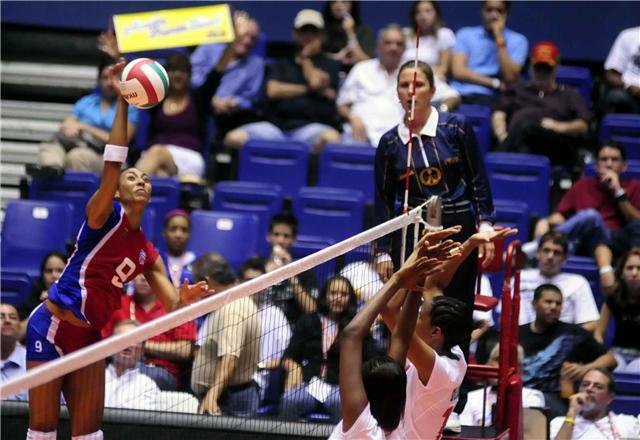 BAYAMON, Puerto Rico, September 22, 2009 � Cuba recorded a 3-1 victory over Costa Rica in the second match of Pool B of NORCECA Women�s Continental Championship. The score was 25-14, 25-10, 22-25, 25-20. 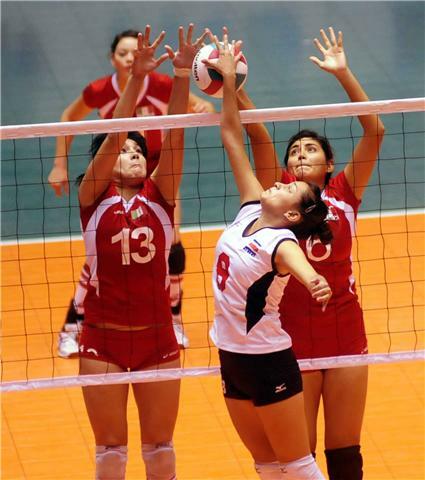 BAYAMON, Puerto Rico, September 22, 2009 � USA scored a straight sets victory 25-18, 25-10, 25-13 over a young team of Mexico in the opening match of the NORCECA Women�s Continental Championship at Ruben Rodriguez Coliseum on Tuesday. 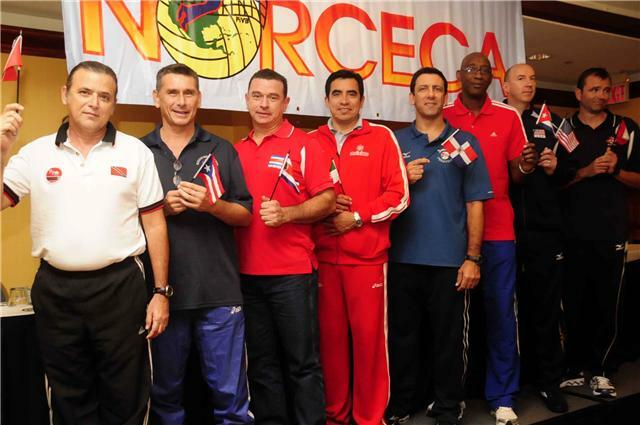 BAYAMON, Puerto Rico, September 21, 2009 � Five teams have a fair chance of winning the NORCECA Women�s Continental Tournament and booking the single ticket available to the FIVB Grand Champions Cup to be staged in Japan next November, according to Hugh McCutcheon, the USA head coach. 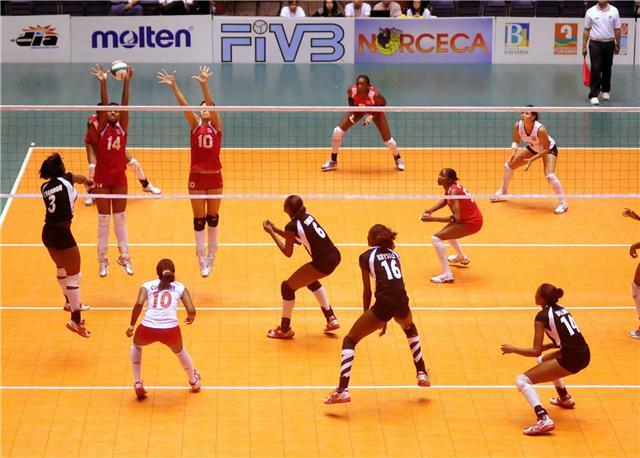 Santo Domingo, Dominican Republic, September 18, 2009 � Eight teams will be competing in the biennial NORCECA Women�s Continental Tournament for the regional bragging rights and the single ticket available to the FIVB World Grand Champions Cup in November.